Not many expected Bitcoin (BTC) to rise. Some of us like me were hoping that it will eventually come down to $ 3000. While the recent surge does not mean that it will not happen, but the chances are slim. The question is what is next for Bitcoin (BTC). The movement of the past 24 hours seems like it can go even higher. What next for Bitcoin (BTC) after rising 11%? Approximately 24 hours earlier, Bitcoin (BTC) was trading around $ 3337. Currently, it is around $ 3620. However, it is at a high of $ 3711. It clearly indicates that when you look at the levels where it was present 24 hours back, it is surged by 11%. Considering the fact that it is the dominant cryptocurrency, such a surge does not go unnoticed. In the short term, still many traders might think that it might fall to $ 3000. However, after the impulse and the strong momentum, it is difficult for Bitcoin (BTC) to drop down to those levels quickly. It clearly indicates that at the lower levels, there might be some buying. If it continues to bounce back from these lower levels, eventually it will be able to scale the higher resistances as well. When it comes to the longer term resistances, it has strong resistance around $ 4000. After that, there is also a resistance around $ 4250. The way up is not going to be easy. Since it is showing momentum; it might very well cross those resistances as well. That is why the net short positions are going to decrease eventually. Bitcoin (BTC) has once again shown that it can rise in an impulse just like it falls overnight. At the same point in time, the total cumulative cryptocurrency market cap is on the rise as well. Many of the other cryptocurrencies and Altcoins are also trading in the green. 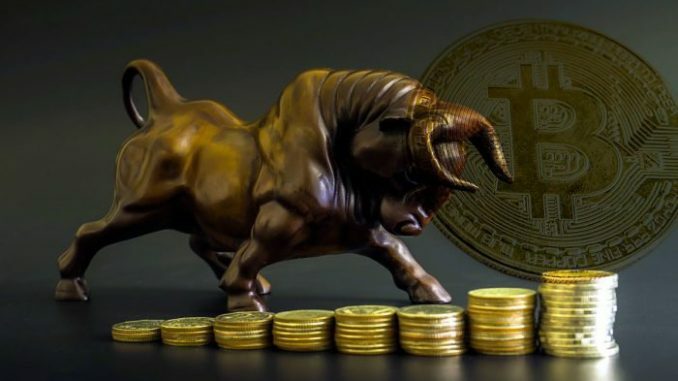 Since Bitcoin (BTC) is the dominant cryptocurrency, a move of such magnitude in Bitcoin (BTC) will inevitably impact other cryptocurrencies as well. It remains to be seen whether Bitcoin (BTC) stagnates around these levels or whether it’s back lower once again. A lot will be dependent on the sustenance of the momentum. If the momentum is present, the Altcoins will rally even more as compared to Bitcoin (BTC). The next 48 hours for Bitcoin (BTC) are sure going to be crucial. They might very well decide its short-term trend.